It's back to school time and life is crazy busy again! But that doesn't mean we should sacrifice our health, our children's health or trade in our healthy foods for quick, unhealthy options! Today, I am featuring two great companies that keep our health in mind while providing quick, easy snacks and products to eat on a busy morning or school day! When I need a quick, HEALTHY snack on the go, I reach for my Freedom Foods bars! 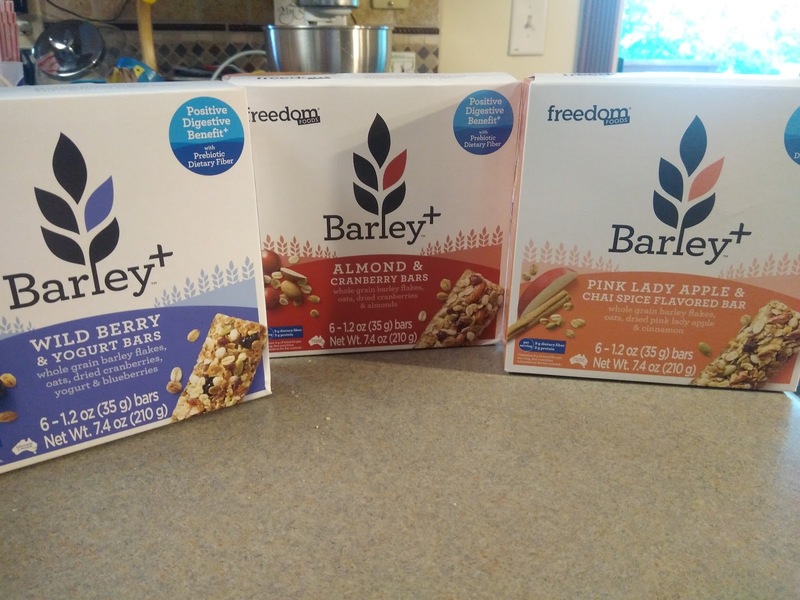 Freedom Foods offers bars, muesli, cereal products that are dairy, gluten, nut free and high in fiber. Their cereal products are a huge hit in our house as well for breakfast! 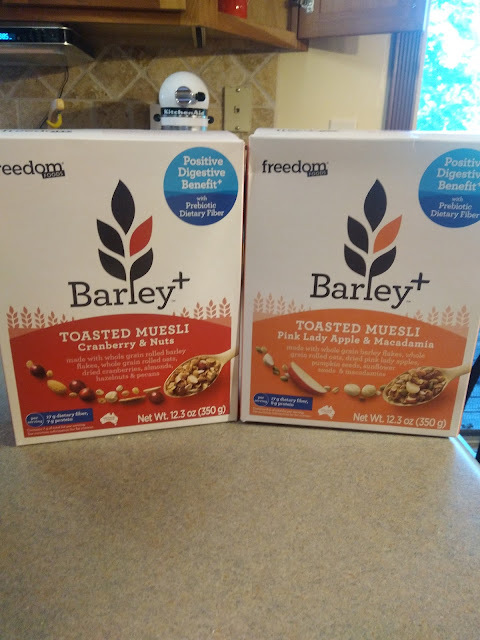 They recently came out with their new Barley+ line! The Barley+ Toasted Muesli and Snack Bar range is the only product available in the U.S. featuring the superior Australian wholegrain, BARLEYmax™, which has been studied for over three decades by the country's leading research organisation, CSIRO. Less than a third of U.S. adults eat the recommended 3-ounce servings of grain foods a day. Barley+ makes it easy to achieve the recommended amount, as just one serving of Barley+ Toasted Muesli delivers almost 2-ounce equivalents of wholegrains, nearly two-thirds of the recommended daily intake. I am a big fan of the bars - especially on the go (which I always seem to be lately!). And the cereal tastes great in the morning with milk or yogurt! I love that it is great for my digestion as well! And when you need a little sweet treat, look no further than Mrs. Thinsters! 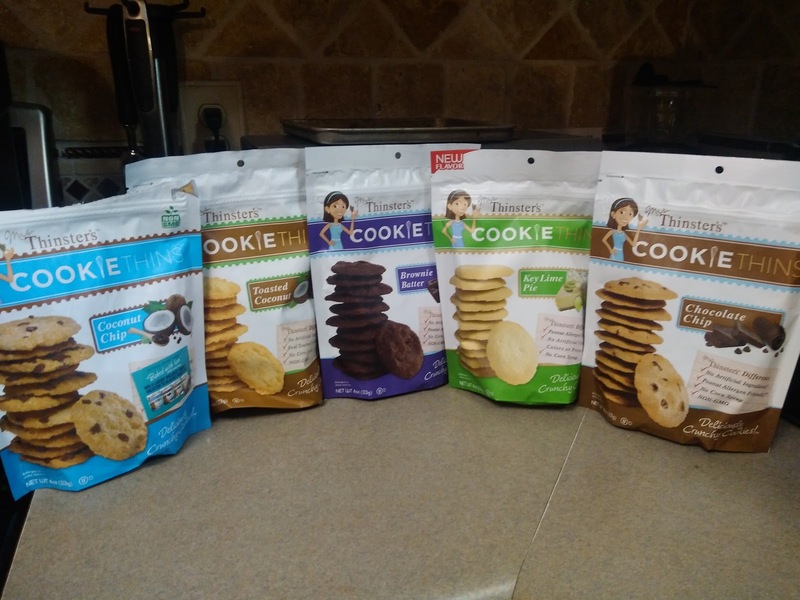 Mrs. Thinsters offers crispy, crunchy cookie thins that are NON-GMO, RBGH-Free and contain no corn syrup, artificial flavors, colors or preservatives! They only use simple, wholesome ingredients that you have in your pantry. These cookies are thin, crispy and deliciously crunchy. They are the perfect little snack when you need just a little crunch and sweetness! The current line up includes Lemon Meyer, Brownie Batter, Chocolate Chip, Cake Batter, Toasted Coconut, Key Lime Pie, Pumpkin Spice and more. The Chocolate Chip is definitely our family favorite but the Coconut Chip was a HUGE hit as well! You can purchase Mrs. Thinsters at your local retailer.